With almost a quarter of its budget this year allocated for infrastructure development, the government of Sharjah is laying the groundwork for a real estate blitz that could significantly transform the emirate’s property development scene. Sharjah has approved a budget of Dh22 billion for the fiscal year with 24 per cent dedicated to the development of infrastructure, a move that supports ongoing programmes by the Sharjah Investment and Development Authority (Shurooq), which has itself already launched a number of real estate projects. In January three projects with a cumulative value of Dh2.7 billion were unveiled by His Highness Dr Shaikh Sultan Bin Mohammad Al Qasimi, Supreme Council Member and Ruler of Sharjah. According to Marwan Bin Jassim Al Sarkal, CEO of Shurooq, one of the key objectives now is to be able to fill the gaps and make Sharjah a more competitive real estate market. We have tried to create the components that are missing from each area where the projects will be in development. “If you look at the location of each of the projects, we have tried to create the components that are missing from each area where the projects will be in development,” says Al Sarkal. The congestion in older communities has also prompted efforts to build new residential destinations, particularly in line with population growth. According to a JLL Mena report, congestion in the western parts of Sharjah, where many of the older residential areas are located, has contributed to the rise of new residential properties in Al Juraina, Al Gharayen and Al Nouf. Apartment rents in Sharjah declined between 6 per cent and 10 per cent in the third quarter last year, although the average price of apartments sold in Sharjah remained constant, according to JLL’s The UAE real estate market: 2017 — a year in review. The rent for one- and three-bedroom units dropped by 6 per cent, while two-bedroom units fell by 10 per cent. By the fourth quarter, average apartment rents declined further by 13.6 per cent according to Cluttons’ Property Market Outlook report. Abu Shagara was the weakest area for landlords with rents retreating 15.1 per cent, followed Al Qassimiya with a 10.6 per cent decline. However, villa rents took a different turn, rising 1.7 per cent during the fourth quarter last year. While Sharjah continues to introduce new real estate projects and concepts, Dubai is also seeing strong growth in new deliveries, which analysts say has had a negative impact on rent recovery. According to Asteco’s Northern Emirates Real Estate Report — Q4 2017, Sharjah widely remains an affordable residential destination for families, but the availability of new and affordable options in Dubai has encouraged several commuting residents to move back from Sharjah to Dubai where they work. The value-added tax (VAT) is another factor affecting residents and landlords this year. Although VAT does not cover residential rents and sales of new residential property, household budgets are affected overall as prices of goods increase. However, landlords have so far been reluctant to adjust advertised rents downwards due to concerns about alienating existing tenants, according to Cluttons. Property ownership laws changed in 2014 and allowed non-Arab expatriates to purchase property in select residential leasehold developments. This has encouraged a rise in master-planned residential developments and thus opening the door to more investors. The Sharjah Real Estate Registration Department (SRERD) has reported that the value of real estate transactions grew by 37 per cent in the third quarter last year compared with the same period in 2016, which was attributed to an increase in mixed-use, master-planned communities. In the first half last year, the number of residential sales transactions grew by 23 per cent, while real estate sales transactions rose by 46 per cent. Among the developments where non-Arab expatriates are allowed to purchase property on a 100-year leasehold basis are Tilal City, Al Zahia and Nasma Residences. 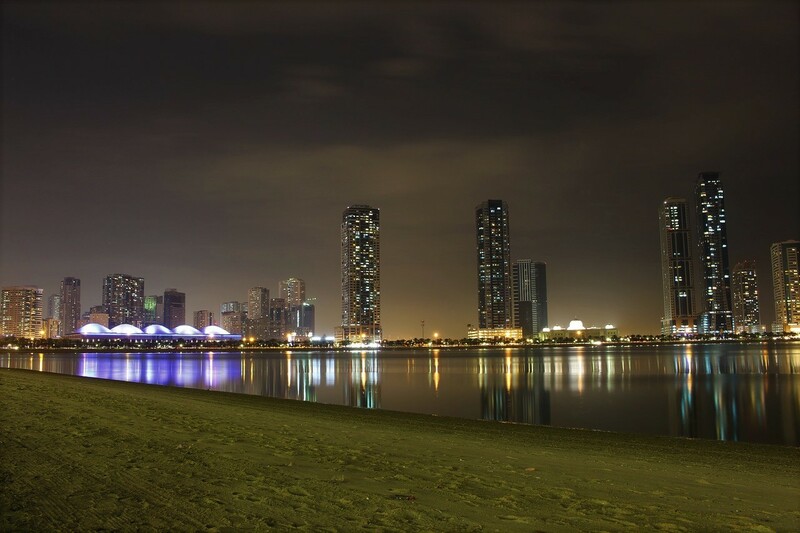 Sharjah Waterfront City is the third-largest mixed-used project in the Middle East with a value of Dh19.83 billion. Developed by Sharjah Oasis Real Estate Development, it will span eight islands built over an area of 60 million sq ft along the waterfront. 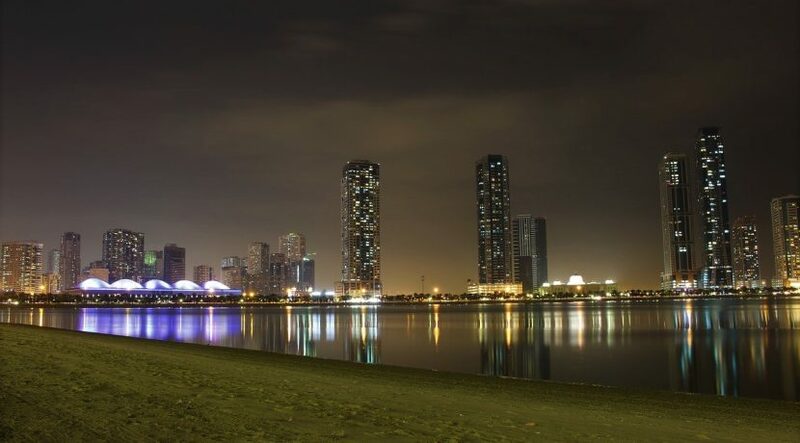 Sharjah’s first freehold community, Tilal City, spans 25 million sq ft. It is developed by Tilal Properties, a joint venture between Eskan Real Estate Development and Sharjah Asset Management. Non-Arab residents can purchase plots on a 100-year lease basis and build their own homes. Al Zahia is Sharjah’s first gated community. A joint venture between the government of Sharjah and Majid Al Futtaim, it covers over 1 million sq m. It is the first residential project in the Middle East that has received the international BREEAM Communities Certification that certifies sustainability of buildings. The three projects, worth a total of Dh2.7 billion, were unveiled in January by His Highness Dr Shaikh Sultan Bin Mohammad Al Qasimi, Supreme Council Member and Ruler of Sharjah. It will be developed as a joint venture by Shurooq and Eagle Hills. The Dh2.4-billion Maryam Island is the largest of the three. Nasma Residences and Aljada were launched last year by Arada. Nasma is a large-scale villa community of 800 residences, while Aljada will have thousands of residences, a business park, hotels, a hospital, schools, a retail boulevard and parks.